10D 20D 30D 40D 50D 300D 5D. Canon PowerShot. G1, G2, G3, G5, G6, 90, 90IS, Pro1 FV300KIT, 40KIT, V250I, 2P-85. Canon MV30i. 300, 300i, 400i, 430i, 450i, 500i, 600i, 630i, 650i, 700i, 750i. Canon MVS100i, 150i, 1i, 2i, ZR20, 25MC, 30MC, 50MC, 60MC, 65MC, 70MC, ZR10, ZR80, ZR200, 300MC, M80. EOS 300D, 10D, 20D, 30D, 40D, 50D, 5D, D30, D60. Manufacturer: Canon. Products type: Li-ion battery. 1X Genuine OriginalBP-511A Li-ion. Q : How long can I receive my order?. And more. ZR65 MC and ZR70 MC. 10D 20D 30D 40D 50D 300D 5D. 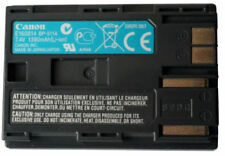 Compatible products: Canon BP511 battery. Canon PowerShot. Canon MV30i. 300, 300i, 400i, 430i, 450i, 500i, 600i, 630i, 650i, 700i, 750i. Canon MVS100i, 150i, 1i, 2i, ZR20, 25MC, 30MC, 50MC, 60MC, 65MC, 70MC, ZR10, ZR80, ZR200, 300MC, M80. Fits Canon Camcorders: DM-MV30, Optura 10, 20, 100, 200 MV300, 500, 700. - Replaces Canon BP-511, BP512, BP514. - Capacity: 1400 mAh. Battery: 100% brand new and high quality. No memory effect. compatible with original manufacturer equipments and chargers. High capacity battery,lasting longer,recording more wonderful moments. Capacity: 2000 mAh Voltage: 7. Canon EOS 5D, 10D, 20D, 30D, D30, 40D, 50D, D60, 300D, Digital Rebel. NOT for Canon 5D MKII, 5D MK III, 5D MK4, 60D. NOT for 5D MKII, 5D MK III, 5D MK4, 60D. Genuine Canon accessory can replace BP-511 battery. 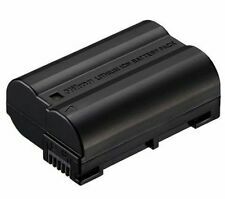 Canon BP511A battery compatible with the 20D/10D/300D/Pro 1/G6/G5. Canon EOS D30, D60. Canon EOS 10D, 20D, 20Da, 30D, 40D,50D. Canon EOS 300D (Digital Rebel). Canon EOS 5D. Canon PowerShot G1, G2, G3, G5,G6. Canon PowerShot Pro 1, Pro 70, Pro 90, Pro 90 IS. Canon DM MV100X, MV100Xi, MV30, MV400, MV430, MV450, MVX1i. Canon FV10, FV100, FV2, FV20, FV200, FV30, FV300, FV40, FV400, FV50. Canon EOS 10D, 20D, 20Da, 30D, 40D,50D. Canon EOS 300D (Digital Rebel). Canon PowerShot G1, G2, G3, G5,G6. Canon EOS 5D. Canon EOS D30, D60. EOS-10D, EOS-20D, EOS-30D, EOS-5D, EOS-300D, EOS Digital Rebel, EOS Kiss Digital. Powershot G1, G2, G3, G5, G6, Pro90 IS/G1. Optura 10, Optura 20, Optura 50MC, Optura 100MC, Optura 200MC, Optura Pi, Optura Xi. Capacity: 1390mAh. 10D 20D 30D 40D 50D 300D 5D. Canon PowerShot. G1, G2, G3, G5, G6, 90, 90IS, Pro1 FV300KIT, 40KIT, V250I, 2P-85. Canon MV30i. 300, 300i, 400i, 430i, 450i, 500i, 600i, 630i, 650i, 700i, 750i. In addition to the excellent price-performance ratio, the battery also impresses with its fitting accuracy. 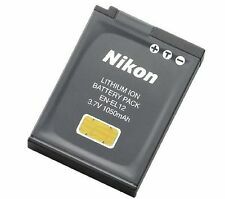 Note: This battery is not designed to work with Canon EOS 5D Mk II, Mark III or Mark IV. Fits:EOS 5D I, 10D, 20D, 30D, 40D, 50D, 300D, D30, D60, Powershot G1, G2, G3, G5, G6. Replaces:Canon BP-508, BP-511, BP-511A, BP-512, BP-513, BP-514. 2x BP-511 Battery FOR Canon EOS 5D 10D 20D 30D 40D 50D 300D BP-511A BP-511 UK. EOS-10D, EOS-20D, EOS-30D, EOS-5D, EOS-300D, EOS Digital Rebel. EOS Kiss Digital FV100, FV200, FV30, FV300, FV40 FV300 kit, FV40 kit. EOS 10D, EOS 20D, EOS 20Da, EOS 300D, EOS 30D, EOS 5D EOS D30, EOS D60, EOS Digital Rebel, EOS Kiss Digital. PV130, ZR10, ZR20, ZR25, ZR25MC, ZR30, ZR30MC, ZR40, ZR45MC, ZR50MC, ZR60, ZR65MC, ZR70MC, ZR80, ZR85, ZR90, EOS 50D, EOS 40D . EOS-10D, EOS-20D, EOS-30D, EOS-5D, EOS-300D, EOS Digital Rebel. EOS Kiss Digital FV100, FV200, FV30, FV300, FV40 FV300 kit, FV40 kit. (Use "Ctrl" "F" to search for your model quickly). Powershot G1, G2, G3, G5, G6, Pro90 IS/G1 PV130. Hahnel use only the most modern battery technology to make our Lithium Ion batteries. 1 x hahnel HL-511 Li-Ion Battery for Canon Camcorders. Capacity: 1500mAh, 7.4V, 11.1Wh. Lithium Ion. For use with canon EOS 20D, 30D, 5D. 2 years warranty. - high capacity - 1600mAh. - up to 1000 cycles. EOS-10D, EOS-20D, EOS-30D, EOS-5D, EOS-300D, EOS Digital Rebel. EOS Kiss Digital FV100, FV200, FV30, FV300, FV40 FV300 kit, FV40 kit. Powershot G1, G2, G3, G5, G6, Pro90 IS/G1 PV130. Optura Pi, Optura Xi. Used HL-511 battery comparable with all canon BP-511 batteries. I used mine and n the Canon 50d. Light use so still in good condition. Compatible With Canon EOS 350D 400D S30 S40 S45 S50 S55 G7 G9 UK. Full working order. Capacity: 1620mAh. Only the most modern battery technology is used in Braun batteries. All batteries are produced to the highest quality standards. Lithium-ion with built-in advanced battery protection. CANON NB-2L Li-ion BATTERY 350D 400D camcorder R16/17 HG10 HV20/30 G7/8 S30/40..
HG10 HV20 HV30. EOS 350D, 400D, Rebel XT, Rebel XTi. PowerShot G7 G8 S30 S40 S45 S50 S60 S80. CANON NB-2L Li-ion BATTERY. Fits Canon. in good used condition. 10 x Canon BP511a Battery for EOS 5D (mk1),20D,30D,40D and 50D. Condition is Used. Dispatched with Royal Mail 2nd Class. Nine really, as one doesn't work, but I don't know which one! Pics to follow. Canon EOS 5D, 10D, 20D, 30D, D30, 40D, 50D, D60, 300D, Digital Rebel. NOT for Canon 5D MKII, 5D MK III, 5D MK4, 60D. NOT for 5D MKII, 5D MK III, 5D MK4, 60D. Canon BP-511A. Genuine Canon accessory. Canon Powershot G1, G2, G3, G5, G5 Pro, G6, Pro1, Pro90 IS/G1. Canon EOS 5D, 10D, 20D, 30D, D30, 40D, 50D, D60, 300D. Canon BP-511A. compatible Battery Part Number Tested and in perfect working order. About the item: This item is associated with the following MPN(s): 9200A001AA. 7.4V, 1390mAh 1-9/16"W x 2-3/16"H x 7/8"D weight: 2.9 oz. Note: GENUINE CANON PRODUCT. WE WILL BE HAPPY TO WORK OUT ANY PROBLEMS/ISSUES RELATING TO YOUR ORDER. 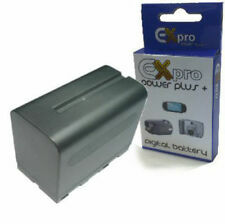 Compatible with Battery BP-508 BP-511 BP-511A BP-512 BP-514 Canon EOS 40D 50D 300D D60. Original Green Cell® Battery. Green Cell®. The technology of the battery does not differ from the original. Set of protections. Compatible with Canon BP508 BP-508 BP511 BP-511 BP511A BP-511A. Original Green Cell® Battery. Green Cell®. The technology of the battery does not differ from the original. Set of protections. Performance, durability and safety. 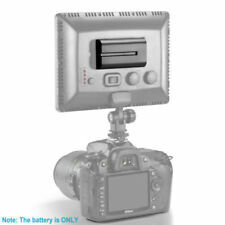 ENV-C511 Energizer Replaces Canon BP?. USB/Pen/Key/Flash Drives. Hard Drive Caddies. External Hard Drives. Other Drives and Storage. Tape and DAT Drives. Dot Matrix Printers. CD & DVD Drives. Compatible with: Canon EOS 5D (Mark1), 10D, 20D, 20Da, 30D, 40D, 50D, 300D, D30, D60 | Canon EOS Digital Rebel | Canon EOS Kiss Digital | Canon PowerShot G1, G2, G3, G5, G6 | Canon PowerShot PRO 1, PRO 90 IS. Canon EOS 40D/50D/EOS 5D/EOS 7D MV530i 5E. Canon EOS-300D/10D/20D/30D. Canon PowerShot G1/G2/G3/G5/G6/90/90IS/. Suitable For Technology: Lithium ion. Canon: EOS REBEL, 10D, 20D, 20Da, 300D, 30D, 40D, 50D, 5D, D30, D60, Kiss, Kiss Digital. A separate charging cradle is required on camcorders. Features a retractable brush on one end and a round cleaning head on the other. Compatible With:For Canon EOS 40D 300D 5D 20D 30D 50D 10D D60 G6 Batteries. Battery Type: Li-ion. 1 x BP-511 battery. Capacity: 2000 mAh. Model:BP-511,BP-511A. Main Feature. Function battery performs: Camcorder, Main power for camcorder. USB/Pen/Key/Flash Drives. Chemistry of battery: Lithium ion. Battery technology:The type of battery in the device, e.g. nickel???. cadmium (NiCd). This is not necessary for the BP-511. Battery capacity: 1100 mAh. Battery technology: Lithium-Ion (Li-Ion). Images for illustration purposes only. Inkjet and Photo Printers. Wireless Networking. Multifunction Printers. Energizer Replaces Canon BP?. 511 - ENV-C511. We Accept Only. Ending Soon. New Arrivals. QUICK LINKS. we do not take any responsibilty after this. you can buy in set of 6 max. Canon ZR10 ZR20 ZR25 ZR25MC ZR30 ZR30MC ZR40 ZR45MC ZR50MC ZR60 ZR65MC ZR70MC ZR80 ZR85 ZR90. Canon EOS 40D 50D 300D. Canon FV10 FV100 FV2 FV20 FV200 FV30 FV300 FV40 FV400 FV50 Canon FVM1 FVM10. CANON EOS Series. Canon : BP-508 BP-511 BP-511A BP-512 BP-514. Canon FVM1. Canon FVM10. Canon IXY DVM. EOS 5D, EOS 10D, EOS 20D. Canon MV300. Canon MV300i. Canon MV30i. MV-Series MV30, MV300, MV400, MV400I, MV430, MV430I, MV430IMC, MV450, MV450I, MV500, MV500I, MV530, MV530I, MV550, MV550I, MV600, MV600I, MV630I, MV650I, MV700, MV700I, MV730I, MV750I, MVMV30I, MVX1, MVX100I, MVX150I, MVXLI, MVXMVX1I, MVXMVX2I, MVXMVX3I, MV100Xi, MV300, MV300i, MV30i, MV400i, MV430i, MV450i, MVX3i.